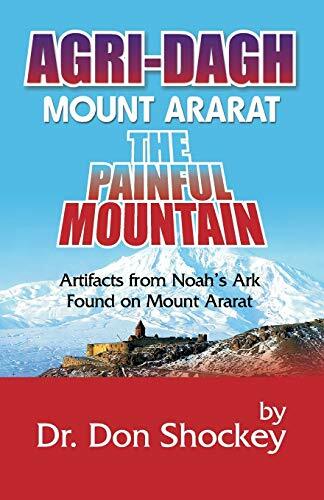 Synopsis: In the summer of 1943, while a U.S. Army sergeant stationed in Hamadan, Iran, Ed Davis became friends with some local Kurd tribesman (or Lourd, in Davis's original account), who told him of Noah's ark on Mount Ararat. The ark and items from it were considered holy relics, generally kept from outsiders, but the patriarch's friendship with Davis made him an exception. They showed him items from the ark, including a cage door, latches, and shepherd staffs. All the wooden items were described as petrified. Tribal leader Abas-Abas and seven of his sons led Davis up the northeast side of Ararat, but bad weather prevented getting closer than half a mile to the ark. But Davis did see it; it was broken into three or four pieces, of which Davis saw two; the nearer had at least three floors. Abas-Abas supplied other details. The living space for people is at the top; the ark's door was hinged at the top; construction was done with wooden pegs. About the Author&colon; Dr. Don Shockey recieved his B.A. in anthropology from the university of New Mexico and his O.D. from Pacific University College of Optometry, Forest Grove, Oregon. Dr. Shockey taught science in the public schools at Taos, New Mexico, and was an anthropology instructor at the Taos branch of the University of New Mexico. He is co-founder and co-owner of the Governor Bent Museum in Taos, and founder and president of the Foundation for International Biblical Exploration and Research (F.I.B.E.R.) in Albuquerque, New Mexico. Dr. Shockey has lectured widely throughout the western states and has made many television appearances. He was a memeber of the 1984 expedition on Mount Ararat searching for evidence of the Ark of Noah. The expedition was filmed by Turkish National Television.